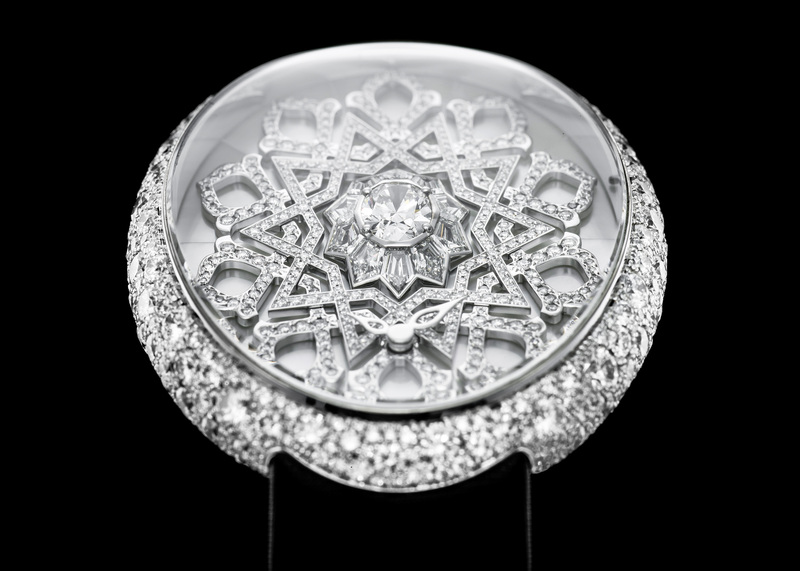 “Diamond Arabesque” is a luxury ladies’ timepiece that merges the two worlds of art and science present in the arabesque. The artwork is mathematically precise, aesthetically pleasing, and symbolic. Through overlapping, interlacing and repetition of beautifully set diamonds the rhythmic designs create intricate and complex patterns. These radiate from the core of the piece consisting of an imposing central oval diamond. The design is a metaphor of all life in the Universe. “Learn how to see. Realise that everything connects to everything else,” as Leonardo Da Vinci so well said. 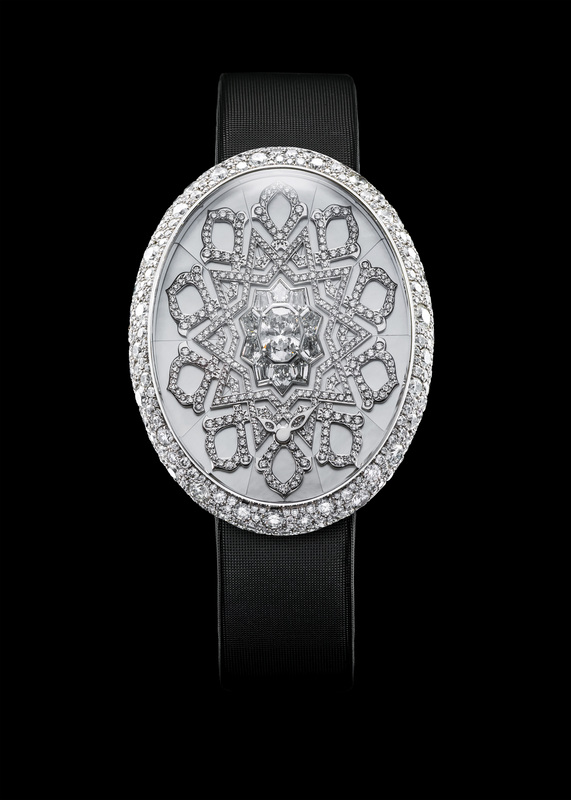 A base of mother-of-pearl marquetry and a polished mirror-like edge complete this maze of diamond perspectives. 18K white gold ladies watch set with diamonds (4.91 carats FG/VVS), 10 diamonds baguette (0.52 carats) and 1 diamond oval (0.33 carats). Visit us at the VAN’T HOFF showroom to discover more art watches.